Just when you thought Sylvester Stallone had hung up the Rock gloves for the last time, he only surprises us all with a fantastic new installment of the highly successful franchise and this time, he’s the mentor. Get the full lowdown on what we thought of CREED! Astonishingly this is the seventh installment in the Rocky franchise, this time brought to you by the relatively unknown writer and director Ryan Coogler. 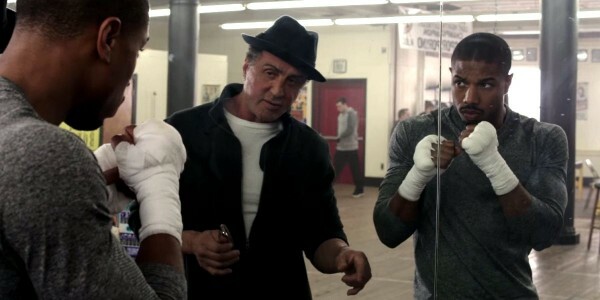 This time round we see Apollo Creed’s unknown son Adonis Johnson (Michael B. Jordan) battle his way through an institutionalised and incarcerated childhood only to follow in his father’s footsteps and become a boxer with the reluctant help of an aging and world beaten Rocky Balboa (Sylvester Stallone). It sounds like Rocky by numbers but Coogler has created a far more complex and intriguing plot than one might assume at first glance. If we delve a little deeper it should come as no surprise that this young man convinced Stallone to climb those fabled steps one more time. Coogler’s first feature length film “Fruitvale Station” was produced by none other than Forest Whitaker and won a slew of awards at the 2013 Sundance Film Festival. 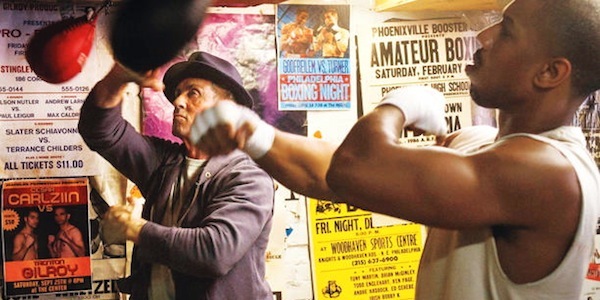 Coogler’s first film may have dealt with racism in a very hands on way, but Rocky movies have been no stranger to prejudice and class differences. Whether it’s Rocky’s working-class training techniques vs Drago’s state of the art facilities in Rocky IV or the complex relationship between Balboa and Apollo Creed, Stallone and Co. have never been afraid to break down racial barriers from the franchise’ outset. 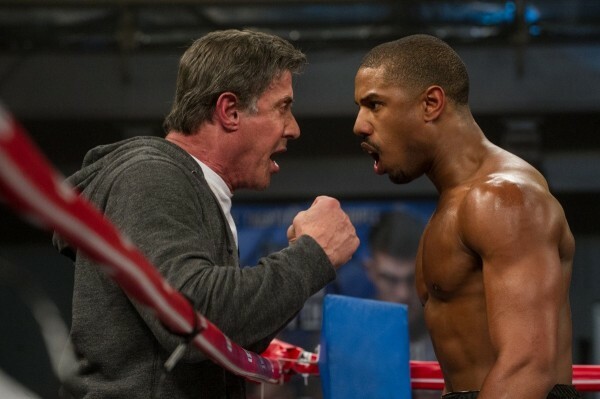 Creed is, like all good “Rocky” movies; motivated and guided by its dynamic relationships. Whether it’s the no-nonsense attitude of Bianca (Tessa Thompson), a true warrior in her own sense, towards the oftentimes sulky and adolescent grumblings of Adonis, or the new lease of life that Balboa garners from his mentee, it is through these bonds that each character finds the strength and courage to fight against all odds. Coogler does an excellent job of bringing the franchise up to date, while still driving home the impression that he loved the previous material. His nods to the antecedent movies’ montage sequences and locations such as Mick’s gym will keep long time fans satiated while his casting of real-world champion boxers such as “pretty” Ricky Conlon ( three time ABA Heavyweight Champion, Anthony Bellew) as Johnson’s foes will be admired by genuine boxing fans. A special mention must go to the director of photography Maryse Alberti who extracts the same gritty realism she brought previously to “The Wrestler”. This is particularly evident in the fight scenes which are masterfully shot, some even in one take sequences, right in the middle of the action with the blood and sweat of the combatants almost palpable to the audience. The performances in this film are simply outstanding from top to bottom. Phylicia Rashad (The Cosby Show, Steel Magnolias) is excellently cast as the widow of Apollo Creed, Mary Anne, and gives a stunning insight into the worries of a mother who is struggling between the desire to see her adopted son succeed and the brutality of the sport he is a part of. Tessa Thompson is also very impressive as a young singer who refuses to let the hand dealt to her stand in the way of her dreams. She is integral to the moral cognisance of the story as her relentless will to succeed and formidable lack of self pity make her an even stronger character than her male counterparts throughout much of the movie. On the male side of the cast, Michael B. Jordan shows superb promise in his portrayal of a young man who is battling between the toughness and bravado he had to develop to survive his childhood and his desire to form trusting relationships as an adult. It’s a troublesome task that he handles brilliantly and is surely a young actor to follow in the future. Stallone is simply outstanding in this picture. 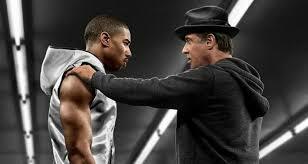 It’s his most complete performance since “Copland” and easily his best in any “Rocky” film. Without giving too much away, the way he tackles the depiction of a truly world beaten Balboa who has to choose between the pain of death and the pain of life is simply remarkable. If he’s overlooked at the Oscars this season it will be a true crime, he’s that good here!!! CREDD is out January 15th (Tomorrow) at movie theaters nationwide. For more information, click the graphic below.